Last week's ExerGaming Expo and Workshop at AAHPERD in San Diego was a great success thanks to all the leading experts in the field and to the many SUNY Cortland PE student volunteers who helped setup and run parts of the workshop showcasing their knowledge and skill at implementing gaming technology into a PE program. As game controllers (especially the exergaming spectrum) continue to evolve, so too does the integration into different game genres, and in the case of the RPG Sequence (Iridium Studios), a $3 Xbox Live Indie Game. Instead of just one screen of arrow sequences to hit, you have to pick between one of the three, Red for Defense, Green for Casting Spells, and Orange for Manna Field. Players switch back and forth between three separate streams of notes, fending off enemy attacks while maintaining a constant barrage of offensive and defensive spells. 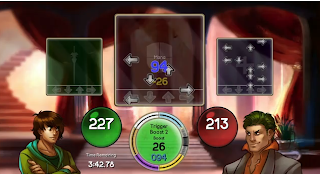 As a new category and interface, stepping to music as a way to play a GAME is really unique as all the other titles just use the dance pad to step to music for its own sake. In DDR, Pump it Up, Stepmania, etc.. there really is no story development or plot. 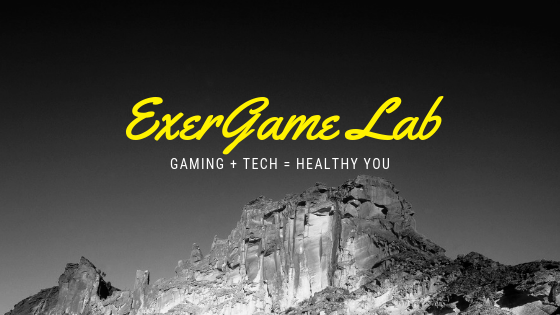 As more developers continue to pursue novel ways to use the existing exergaming interfaces (millions of step pads), let's now christen this new genre with a new acronym - Ste(r)pgExerGaming (STEREXG). Thank you Iridium! Can't wait to try it! Be back more with reviews and screens!